Get in touch with nature at Lone Pine Koala Sanctuary and Moffat Beach. You'll enjoy a bit of beach vacationing at Dicky Beach and Shorncliffe Beach. You'll find plenty of places to visit near Brisbane: Scenic Rim Brewery (in Mount Alford), Bunjurgen Estate Vineyard (in Bunjurgen) and Redland Art Gallery (in Cleveland). Next up on the itinerary: examine the collection at Queensland Museum & Sciencentre, wander the streets of Queen Street Mall, take in the spiritual surroundings of Old St Stephen's Catholic Church (Pugin Chapel), and stroll through King Island. To see traveler tips, maps, and other tourist information, use the Brisbane tour itinerary website . Use the Route module to see travel options from your home to Brisbane. In December, daytime highs in Brisbane are 32°C, while nighttime lows are 23°C. Cap off your sightseeing on the 26th (Thu) early enough to go by car to Byron Bay. Start off your visit on the 27th (Fri): contemplate the waterfront views at Lake Ainsworth, get great views at Pat Morton Lookout, and then enjoy the sand and surf at Wategos Beach. For other places to visit, maps, photos, and more tourist information, read Byron Bay itinerary maker tool . Traveling by car from Brisbane to Byron Bay takes 2 hours. Alternatively, you can take a bus; or do a combination of train and bus. Traveling from Brisbane in December, Byron Bay is a bit cooler at night with lows of 20°C. Finish your sightseeing early on the 28th (Sat) so you can travel to Sydney. You'll get in some beach time at Manly Beach and Palm Beach. Escape the urban bustle at Bondi Beach and Balmoral Beach, Mosman. Change things up with these side-trips from Sydney: Katoomba (The Giant Stairway & Wentworth Falls) and Shelly Beach (in Manly). 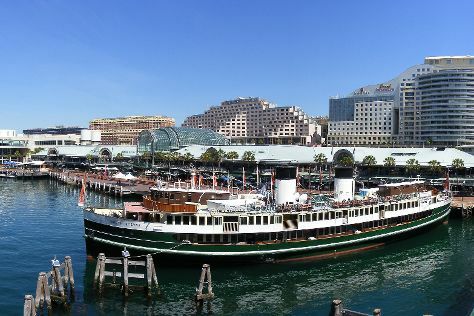 There's much more to do: see a show at Sydney Opera House, admire the natural beauty at Royal Botanic Garden Sydney, kick back and relax at Clovelly Beach, and get some thrills on the water with a speed boat tour. To find reviews, photos, maps, and tourist information, use the Sydney holiday builder . You can do a combination of bus and flight from Byron Bay to Sydney in 4.5 hours. Other options are to drive; or do a combination of bus and train. In December, daily temperatures in Sydney can reach 32°C, while at night they dip to 21°C. Finish your sightseeing early on the 1st (Wed) to allow enough time to travel to Melbourne. You'll explore the less-touristy side of things at St. Kilda Beach and Immigration Museum. 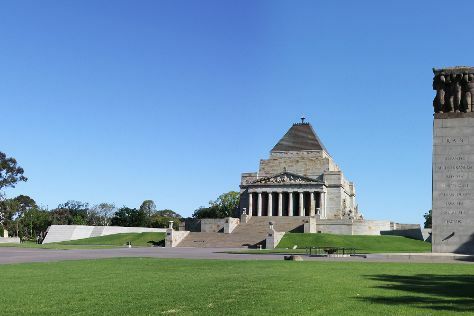 Get a sense of the local culture at Melbourne Museum and St Paul's Cathedral. The adventure continues: identify plant and animal life at Royal Botanic Gardens, stroll through Melbourne Zoo, enjoy breathtaking views from Eureka Skydeck 88, and steep yourself in history at Old Melbourne Gaol. To see ratings, more things to do, other places to visit, and tourist information, refer to the Melbourne online trip maker . You can fly from Sydney to Melbourne in 3.5 hours. Other options are to do a combination of flight and shuttle; or drive. Expect a bit cooler evenings in Melbourne when traveling from Sydney in January, with lows around 17°C. Wrap up your sightseeing on the 4th (Sat) early enough to travel to Cairns. Get in touch with nature at Scuba & Snorkeling and Safaris. Satisfy your inner culture vulture at Historic Village Herberton and Artistree Gallery. Explore Cairns' surroundings by going to Port Douglas (St Mary’s by The Sea chapel, Four Mile Beach, & more) and Rex Lookout (in Wangetti). There's more to do: identify plant and animal life at Atherton Tablelands and take in the exciting artwork at Bones and Jones. To see traveler tips, other places to visit, more things to do, and other tourist information, use the Cairns holiday planner . Getting from Melbourne to Cairns by flight takes about 6 hours. Other options: drive; or take a train. Traveling from Melbourne in January, things will get somewhat warmer in Cairns: highs are around 37°C and lows about 28°C. Finish your sightseeing early on the 9th (Thu) to allow enough time to travel to Noosa. 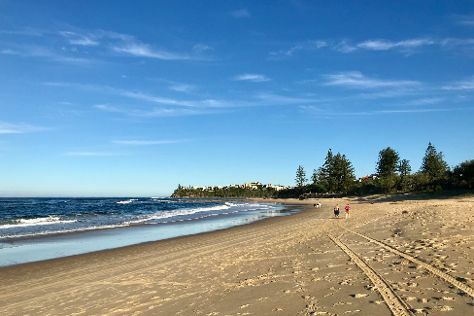 Explore hidden gems such as Mooloolaba Beach and Marcoola Beach. Your cultural itinerary includes sights like Maryborough Military & Colonial Museum and Maryborough City Hall. Explore the numerous day-trip ideas around Noosa: Spas (in Maroochydore), Mooloolaba (HMAS Brisbane & Point Cartwright) and Buderim Forest Park (in Buderim). Spend the 10th (Fri) exploring nature at Noosa National Park. There's still lots to do: enjoy the sand and surf at Noosa Main Beach, take a stroll through Hastings Street, take in the exciting artwork at Artworks in Clay by Anne Gentry-Smith, and admire the sheer force of Gardners Falls. To see reviews, more things to do, and more tourist information, use the Noosa trip itinerary maker site . Getting from Cairns to Noosa by combination of flight and train takes about 8.5 hours. Other options: do a combination of flight and bus; or drive. Finish up your sightseeing early on the 14th (Tue) so you can go by car back home.